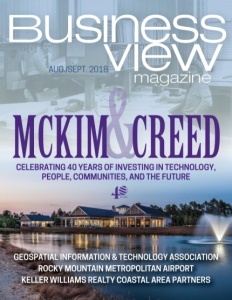 Business View Magazine interviews Santa Barbara Municipal Airport Director, Hazel Johns, as part of our series on best practices of regional airports. Santa Barbara Municipal Airport is the 13th largest airport in California. 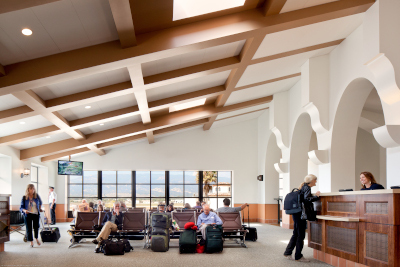 Located alongside the Pacific Ocean, ten miles west of downtown Santa Barbara, the public-use airport served 711,000 passengers in 2017. Its LEED Gold-certified airline terminal opened in 2011, providing state-of-the-art amenities and efficient passenger security screening. Alaska Airlines, American Airlines, and United Airlines offer 22 daily departures to seven non-stop destinations – Dallas, Denver, Los Angeles, Phoenix, Portland, San Francisco, and Seattle. The number of departures will grow this year when Frontier Airlines and Sun Country Airlines begin offering flights to Denver and Minneapolis. 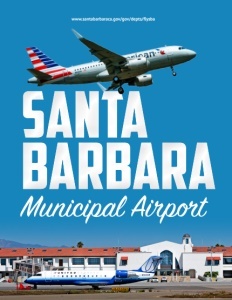 Owned and operated by the City of Santa Barbara, the Santa Barbara Municipal Airport was awarded the Federal Aviation Administration Western Pacific Region’s 2018 Outstanding Airport Award, which recognized SBA’s management for “exemplary work” in completing important safety projects proactively, outstanding management of FAA grant funding, and for having a cooperative relationship with the FAA’s Los Angeles office. Known as SBA, the Airport has its beginnings in Santa Barbara’s rich history in aviation, which dates back to 1914 when Lincoln Beachey flew an airplane across Santa Barbara County’s Goleta Valley. Two years later, a seaplane factory was established in Santa Barbara by the Loughead Brothers, who later changed their name to Lockheed. In 1928, Gordon Sackett and Royce Stetson landed a plane in a cow pasture in the city and subsequently set up a flight school with an airstrip on that spot. In the late 1930s, the airstrip developed into an airfield and in 1941, City of Santa Barbara voters approved a $140,000 bond issue to purchase the land now occupied by Santa Barbara Municipal Airport’s aviation side, says Santa Barbara Municipal Airport’s Airport Director, Hazel Johns. Santa Barbara Municipal Airport’s historic airline terminal was small – just 7,200 square feet, originally. There were two expansion projects over the years, but they failed to adequately keep pace with growing demand. In the early 1990s, tents were set up outside the terminal for handling luggage because there wasn’t sufficient space inside. The space crunch was compounded when the TSA set up shop there after 9-11. The Santa Barbara Municipal Airport is currently in the midst of an $8 million reconstruction of its main commercial runway, made possible by a grant from the FAA. Santa Barbara Municipal Airport’s recently completed five-year master plan calls for the extension of one of the parallel taxiways to the main runway and that project is currently in the design phase. Johns says FAA Airport Improvement Grant funds are expected this summer for improvements to the general aviation apron. Santa Barbara Municipal Airport is self-sustaining, receiving no tax dollars from the city. Approximately 25 percent of revenue is generated from the more than 120 tenants whose aeronautical and non-aeronautical-related businesses are located in the Airport’s roughly 95-acre industrial-commercial section. That income stream helps to subsidize aviation operations. All of the Santa Barbara Municipal Airport’s almost 100 hangars, including its 24 T-hangars, are full, says Johns. But whether there’s a lengthy waiting list, as many similarly sized airports have, she points out that GA traffic at Santa Barbara Municipal has actually been on the downturn. “I think having a commercial operation and TSA, and the security requirements imposed by TSA, limits the freedom of general aviation,” she explains. Where size is concerned, Santa Barbara Municipal Airport is a rather large operation in the small-airport category, currently ranking 134th out of all U.S. airports. There is a staff of 54, all city employees, with most working in maintenance, security, and operations. 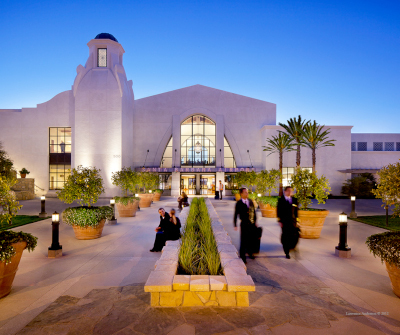 The Airport plays a demonstrably significant part in keeping the economies of Santa Barbara and the surrounding area humming, according to Johns. “In 2017, UCSB, the University of California at Santa Barbara, did an economic impact study for the Airport and at that time, the Airport generated $205 million annually for the community,” she reports. As for what’s next on the capital project front, the Airport’s master plan also calls for the relocation of its two FBOs and all general aviation facilities to the north side of the main runway. They are currently located to the runway’s south side and the shift will leave that area available for commercial aviation. Other initiatives include opening up, for the first time, the right to be an FBO at the Airport to a bid process. Johns says other FBOs have expressed interest in locating at SBA, which has a limited amount of space available for development. Half of the Airport’s 945 acres are taken up by the environmentally sensitive Goleta Slough Reserve, where construction is banned. Johns adds that two long-term goals include finding a way to expand vehicle parking at the Airline Terminal, which is short supply, and expanding commercial air service. “I would hope that we would be able to increase our air service in the next five years, adding routes, as well as an air carrier or two,” she avers. Check out this handpicked feature on The Roswell International Air Center – Potential unlimited.